A place to store and a place to sit. S Interior Design LOVES multi-functional furnishings such as the storage ottoman fabricated by Pacific Manufacturing. Great in a family room, master bedroom or guest bedroom to store a multitude of things you want or need close by, but don’t want to see out in plan sight. One of several custom upholstered furniture pieces we designed for a Desert Mountain client looking for some color in her interior environment. Thanks Pacific Manufacturing for making it so easy ! 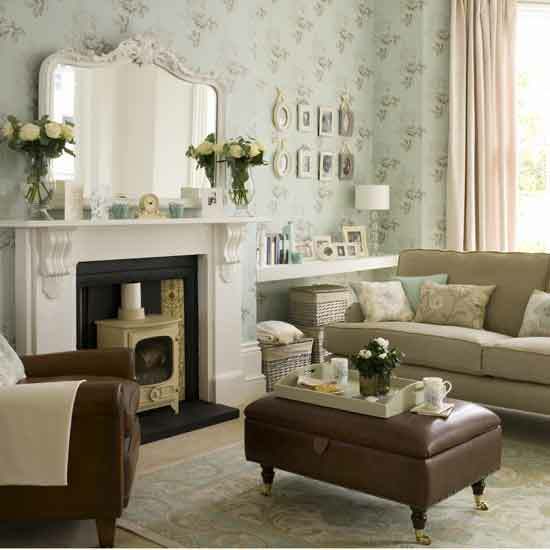 Below is a guest post entitled ‘How to Create a Traditional Style Living Room’. S Interior Design often has residential design clients who have what could be described as traditional style furnishings that they want to keep, yet update with more contemporary surrounding design elements. 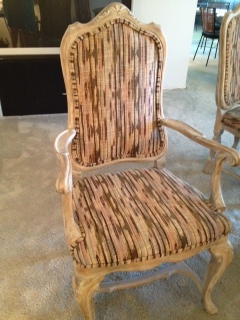 One of our favorite things to do is to re-upholster a traditional style accent chair in modern fabrics. It becomes a unique piece that can be the focal point of a seating arrangement. This is an example we completed recently. A home that mixes design styles is one that is reflective of the owner’s unique personality. Mix away and don’t be afraid! Not so long ago, traditional style was regarded as the grandmother’s home style, with impossibly uncomfortable furniture, pristine carpets and vintage wallpaper. I am very pleased to say that this is longer the case. Traditional home styles have been toned down considerably and are now more cleanly lined than ever. The traditional style covers a wide range of time periods and cultures, and can include just about anything, whether ornate and opulent or simple and spare. One of the reasons this style is regarded as traditional is due to the familiarity of silhouette and the use of architectural details. Quite often, living rooms with a traditional style tend to be older and possess an abundance of suave architectural details such as elaborate chunky moldings, columns, arches, wood floor patterns, and inbuilt cabinetry. The reason these shapes are familiar is because they have a real sense of historical influence. The majority of the textiles and furnishings are labeled “traditional” because the patterns and shapes have been used for long periods of time. Traditional style is no longer stale or fussy; instead it is now more casual and welcoming. The traditional style is literally the little black dress of the design world, looks great, always appropriate, feels fantastic, and goes with just about everything. Luxurious fabrics can be used in traditional style but not limited to cashmere, velvet, mohair, and silk. Other more humble fabrics such as cotton and linen can also be found. In reality, not many homeowners can get away with a sofa that is upholstered in high maintenance fabrics such as silk, but this doesn’t mean they can’t be utilized in low traffic areas such as pillows or curtains. Start off with a pivotal fabric and then blend other patters from the same color palate. A layering of texture and pattern will add interest to the space. Damask, paisley, floral, and even geometrics are common patterns. 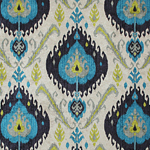 Rugs are highly people because traditional homes usually have very hard floors, either tile or wood. Artwork introduces texture, mood, personality, and color. It is often beneficial to choose room arrangements and a color palate based on a great art piece. If you do not have the budget to buy a large piece of art, there are other more cost-effective ways to create impact. Try grouping similar images in matched frames to create a graphic punch. Try to develop a consistent theme throughout your living room that is based on color. Neutral color tones are often utilized on large upholstery pieces and walls. Homeowners and designers often mute color pallets to show off other elements such as rugs and impressive pieces of art. An all white color palette is extremely popular because it can lend both minimalism and opulence depending on how it’s applied. Balance should be one of the key considerations when choosing colors; you should only use bright colors if they are offset by neutral tones. Furnishings found in traditional styles commonly have a familiar shape that is recognizable and iconic to the majority of people. A perfect example of this is the wing back chair; although it is quite often reinterpreted and updated, it is mostly at home in traditional décor styles. Pieces of upholstery are often comfortable and neutral, a lot less fussy than in previous years. Traditional leather sofas are available in a variety of colors and styles; these can be mixed with contemporary pieces, reproductions, and antiques to create a relaxed feeling of elegance. Painted pieces and rich wood tones are also common in traditional styling. 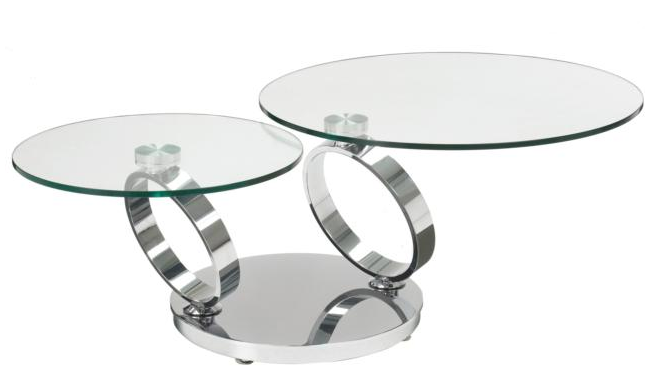 The key to a great living space is the way in which pieces are put together. Be sure to create a focal point, this will give the human eye a resting place. Not only does it ground the room, but everything can be positioned in relation to it. Focal points can be artwork, a fireplace, or even an item of furniture such as a sofa or bed. Make use of symmetry to keep a sense of balance within the space. For example, you could have two chairs on either side of your fireplace. They do not have to be identical, but they should have similar proportions. This article was written by David at Thomas Lloyd Leather Furniture, David is an interior design and home improvement enthusiast that has written articles for numerous magazines and blogs. Here is the U.S. we call them Family Rooms or Great Rooms. In other countries they are sometimes called Sitting Rooms. No matter what they are called, it is a space in every home all over the world where families and friends gather on a daily basis. Below is a guest post that speaks to the basic design elements that everyone should consider when designing their Family Room space. All family homes need an appropriate sitting room. The room can act as the centre of the household and serve a number of functions. A perfect sitting room should be a space where everyone can get together and spend some time enjoying each other’s company. Designing the perfect sitting room doesn’t have to be challenging. Individuals simply need to think about their requirements and how to meet them appropriately. The key element is having sufficient seating; there needs to be enough room for all the family to sit comfortably. Individuals who often entertain guests may choose to purchase some extra seating to accommodate them. A comfortable sofa is of course an essential. 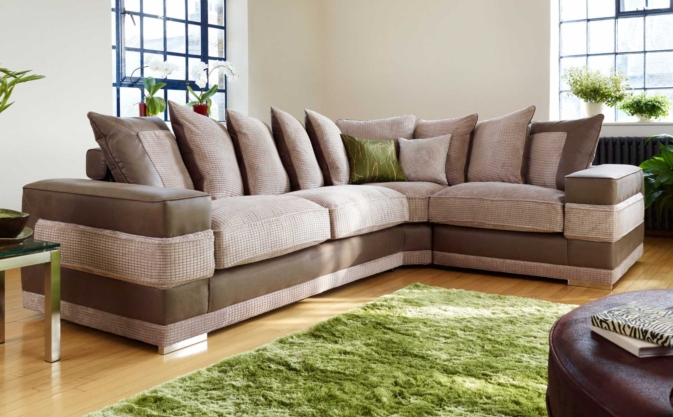 It’s important to think about using space efficiently when selecting sofas. Purchasing a stylish corner sofa is a great way to add extra seating to a room. These luxurious items are versatile enough to cater for any situation and don’t look oversized when not being used. A corner sofa can comfortably seat the entire family and create a cosy, warm atmosphere. Many people think of their pets as family members, so the perfect sitting room should also cater for their needs. Making room for a basket – or saving a dedicated space on the sofa – is an excellent way to do this. Consider using carpet rather than laminate flooring, as slippery surfaces can cause some pets problems when walking. Once the ideal sofa has been chosen for the room, the next important item to consider is the TV. This can be a difficult decision. Choosing the right size of screen can make or break the room – if it’s too small, family members will go elsewhere to watch their favourite programmes, and if it’s too large, it will overwhelm the room. Children may also want the capability to play video games in the sitting room, so purchasing an appropriate TV cabinet will ensure that they have somewhere to store the console and games when they are not in use. A good sitting room is a place to celebrate the family. Using a bright colour scheme that everyone likes is a good idea, and hanging photos of family members on the wall will help to create a sense of togetherness. A coffee table can make a nice centrepiece to a room, but those with young families may want to leave the space open and obstruction free so that children can play without causing any problems. Storage is also worth thinking about. It is sensible to have somewhere to store toys and books, and furniture that is large enough to keep the room tidy will be required. Don’t focus the room too closely towards young children, however. It should also be a comfortable environment for the parents to relax in. 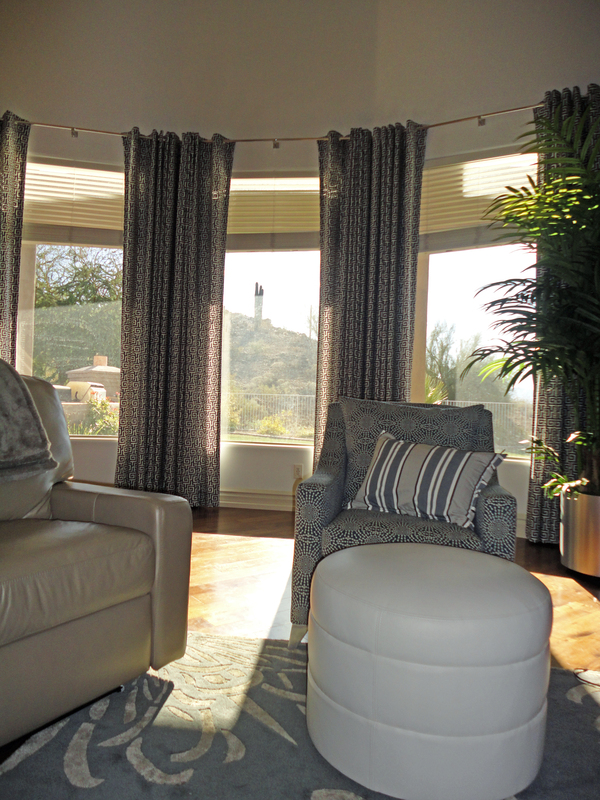 A well-designed living room will be one of the most popular rooms in the house. For this reason, individuals should prioritize practicality in their design. Making it easy to clean will save hours of time and ensure that any spilt food, drinks and mess can be cleaned up quickly. The perfect sitting room takes some planning, but will benefit every member of the family over time. Leather Furniture-Love it or Leave It? Leather furniture—folks either love it or tend to dislike it. S Interior Design spends time speaking with their clients about the pros and cons of leather seating and often will mix leather furniture with furniture upholstered in fabrics. As the guest post below states, too much leather in a space is not the way to go, rather use in moderation for the best end result. Furnishing your home is a personal choice. Whether you’re moving into a new home or redecorating or refreshing your current one, your choice of furniture is important. Many homeowners try to find the balance between stylish and durability. Many furniture pieces on the market today have a lot of pizzazz, but may be too delicate or poorly made to last more than a few years. If you’re looking for furniture that’s beautiful, easy to care for, and will last a lifetime or two, then consider leather furniture. Leather is a wonderful, organic material that’s strong, durable, and if made right, can be a beautiful addition to any home. Many manufacturers offer a wide range of leather pieces, from sofas to leather-bound tables and you can use leather furniture to varying effects in your own home. Decorating with leather furniture in your own home can be easy. Much like anything, the secret is moderation. Having one or two large pieces is usually the best way to go, otherwise, if you used leather for everything, then you may go overboard and it just will look kitschy. For most people, a leather sofa or sectional would be the main purchase, since this is also the largest and most-used piece you’ll have at home. If you pick a good, full-grain leather sofa, this can last for years and it can look good in any living room. If you want to incorporate leather furniture in your bedroom, consider a plush leather headboard. Not only does this make your room look elegant, but if you like to read or sit up in bed, you won’t need additional pillows. A leather armchair can also bring some Old World elegance into your bedroom alcove or any room, for that matter. If you have a sitting room, office, or library, a leather armchair would look great next to the window or near the fireplace. Don’t think you can’t use leather in the kitchen. If you have a counter or breakfast nook, why not purchase matching stools upholstered in leather? Better yet, handsome leather bar stools would look great standing next to a shiny, wet bar. Leather can be quite tough and will last a long time, not to mention become even softer and more beautiful after a few years. However, you should also take measures to care for your leather pieces. For one thing, make sure you clean and dust them like you would any furniture piece. Dust them regularly to prevent dirt from accumulating on the surface and small nooks and crannies. If you or a guest spills something on the leather, mop it up right away. Although leather is water-resistant, liquids can still seep in between the seams and cause moisture to build inside. This is bad because this can cause mold and mildew to form or promote rust in the metal parts of the frame (or both). Once the inside of your furniture begins to deteriorate, there may be little you can do to save it. Once in a while, every six months or so, you should use a special leather oil or conditioner (available at many furniture shops) to keep the surface soft and supple. Apply as directed on the bottle and your leather furniture will stay shiny and new as the day you bought it. Using leather around the home can be advantageous in many ways. Not only does leather look classy when used right, but it can last for a long time. That means you won’t have to spend for repairing the furniture or having them replaced every few years. Indeed, many happy owners of leather furniture refuse to replace their pieces because after a few years, it still looks good or even better than when they bought it.